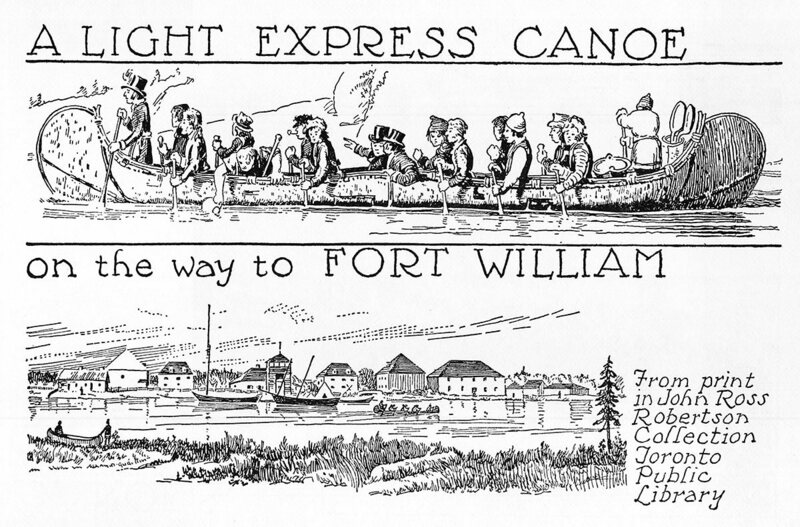 The picture of the light express canoe is from an old water colour in the possession of the Museum of the Hudson's Bay Company, Winnipeg, by whose courtesy it is here reproduced. 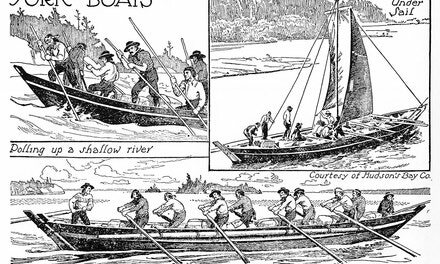 It shows two officers seated amidships, and in the stern are seen a kettle and two ladles used in boiling pitch, and a roll of birch bark, for mending the canoe if damaged on the voyage. Gibbon, John Murray. 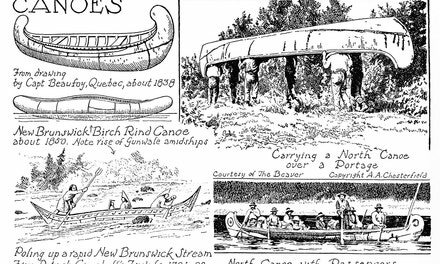 The Romance of the Canadian Canoe. Toronto, Ryerson Press, 1951. 145 p. Illus.